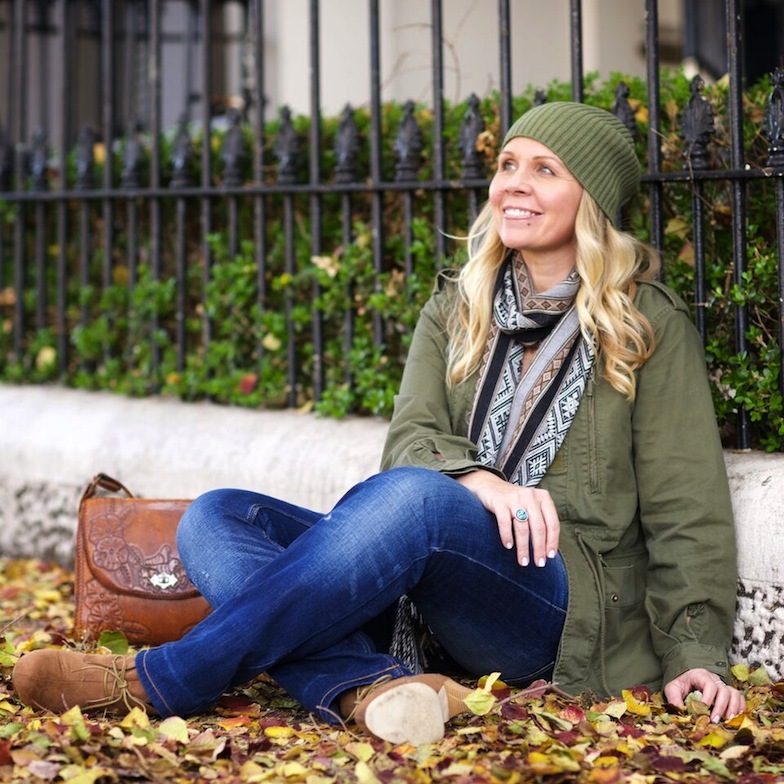 Tis’ the season to bundle yourself up in rustic autumn tones, this is definitely my favorite time of year! Soft scarves, cute boots and big comfy jackets reign supreme and don’t get me started on the colors of the leaves, mother nature is a supreme artist. A lot of winter coats and accessories can be quite expensive so why not consider finding them second hand!? I sourced my beanie, khaki coat, jeans and boots from The Salvation Army and the total was $65 for everything. The stunning scarf was a gift from the gorgeous people of Threads of Peru – a not for profit social enterprise that connects the world to handmade treasures of the Andes, helping to strengthen ancient craft techniques and empower artisans. The tradition of weaving stretches back through 5,000 years of history in Peru, from the coastal cities of Paracas and Nazca to the high Andean peaks of Cusco and Ayacucho. Even today, back-strap weaving is an incredibly important component of identity in the high Andes, as much as traditional alpaca herding and the native Quechua language. The creators behind threads of peru dream that making these traditions economically viable will inspire young Quechua men and women to take pride in their cultural heritage – in weaving, in speaking Quechua, and in living in their native communities—and to pass it along for centuries to come. See how powerful fashion can be!